Use our powerful software every day to make your work faster, easier and more reliable. 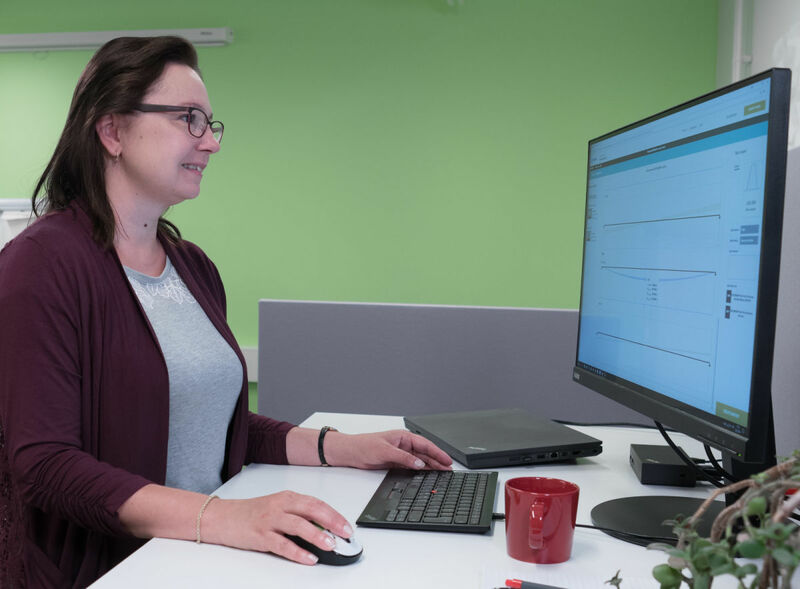 Peikko design tools include design software, 3D components for modeling programs, installation instructions, technical manuals and product approvals of Peikko’s products. Peikko Designer® is Peikko’s own design software to help you select the most suitable Peikko product for your structure. Peikko Designer® is free for registered users. Peikko Designer® has four modules: Column Connection, Punching Reinforcement, Anchor Plate and DELTABEAM SELECT. The modern, intuitive user interface is based on interactive 3D graphics. As the software updates automatically, you will always benefit from the latest features. 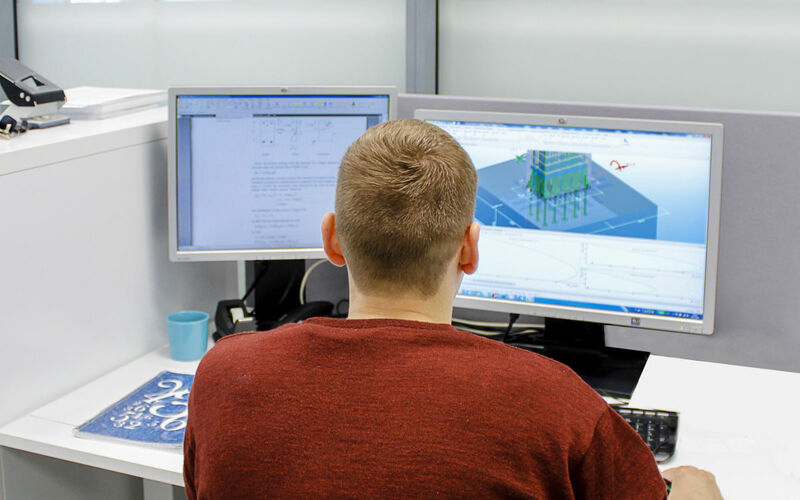 Our software team works continuously to develop our design tools. In the Release Notes you will find information on latest releases, updates and development. We have improved our Peikko Designer® Column Connection by adding calculation for wind load and self-weight of the column in erection stage. You can do these calculations with German National Annex or without any National Annex. Wind load calculation is based on Eurocode EN 1991-1-4. You can check more details about this new feature from this tutorial video. Other smaller improvements were also made, such as adjustments to dwg-export in Punching Reinforcement. 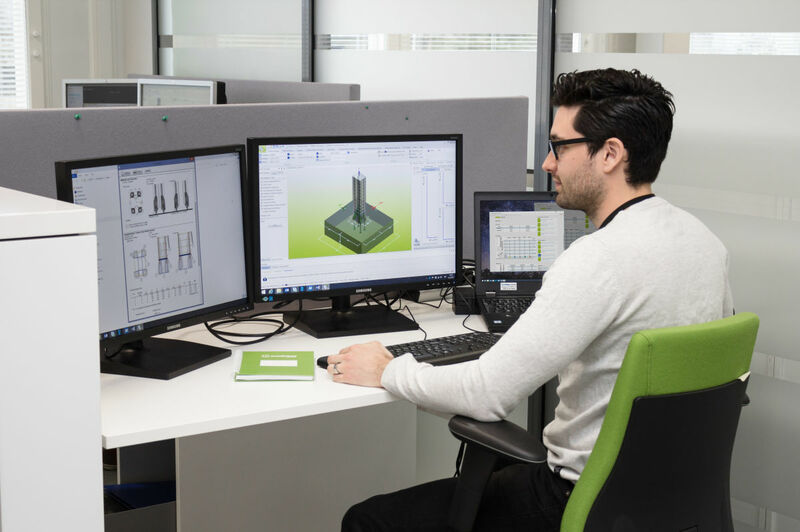 The Peikko Designer® Column Connection module enables you to select and calculate a suitable Peikko Column Shoe - Anchor Bolt combination for a precast column joint or suitable Peikko Anchor Bolts for a steel column - foundation joint. Peikko offers free plugins for inserting Anchor Bolts and Column Shoes into Tekla models. You can also create reports about Peikko products using a ready-made report template. These can be downloaded from Tekla Warehouse. Peikko Toolbox for Revit and AutoCAD includes Revit families and AutoCAD 2D blocks for Anchor Bolts and Column Shoes, among others. The add-on is compatible with Revit Structure 2016, 2017 and 2018. With the Peikko Designer® Anchor Plate module you can select and calculate a suitable Peikko Anchor Plate from our standard sizes or design your own fastening plate to fit your structural designs. Module includes standard Peikko Anchor Plates; WELDA®, WELDA® Strong and Long WELDA® Anchor Plates. If none of the standard plates is suitable, you can make special anchor plates to suit your purposes. Design according to EN Eurocodes, ETA-16/0430 and CEN/TS 1992-4:2009. The number of load cases is not limited and you can add several cases from Excel. The report includes detailed calculations for standard plates as well as dimensions and material information for special Anchor Plates. Peikko offers free plugins to insert standard and special Anchor Plates into your Tekla model. You can also create reports about Peikko products using a ready-made report template. Plugins can be downloaded from Tekla Warehouse. Peikko Toolbox for Revit and AutoCAD includes Revit families and AutoCAD 2D blocks for Anchor Plates. WELDA® modified can be created as AutoCAD blocks. The Punching Reinforcement module enables you to make structural designs for punching prevention using Peikko’s PSB or DSA Reinforcement. 2D AutoCAD drawing from designed Punching Reinforcement. The DELTABEAM® Preselection Software enables the designer to check that the chosen DELTABEAM® type is suitable for the structure. The final beam design and individual dimensioning is done by Peikko. DELTABEAM® Preselection is compatible with Windows XP and Windows 7. DeltabeamTool is an application for full AutoCAD to draw DELTABEAM®s onto general layouts and section drawings. The user can choose the beam type and view, and select the start and end points. The application has tools to modify the inclined beam ends and web hole locations. DeltabeamTool automatically gives each DELTABEAM® a unique number. The user can add beam schedules to the layout drawing or export it to Excel. Drawings of each DELTABEAM® can be created according to the layout drawing. DeltabeamTool for AutoCAD is for full AutoCAD versions 2010-2015 with Windows 7, Vista, and XP. 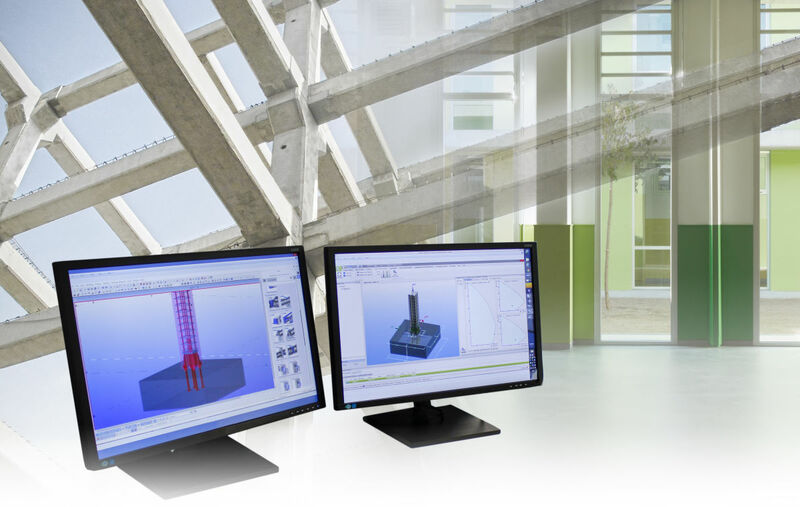 Standard DELTABEAM®s are available as Revit families and AutoCAD 2D cross sections in metric and inch measures. Revit families also include solid endplates and endplates when connecting with PCs® Corbels. Peikko offers free DELTABEAM® plugins and profiles in metric and inch measures for Tekla Structures. Standard connections, such as gerber connections and side connections, are easy to create using plugins. Alongside these, Peikko offers connections with PCs® Corbels and connections with DELTABEAM® on top of the column. The plugin also includes a dimensioning tool to quickly create assembly drawings using the Peikko drawing template. Peikko has created 2D and 3D modeling tools for designers. 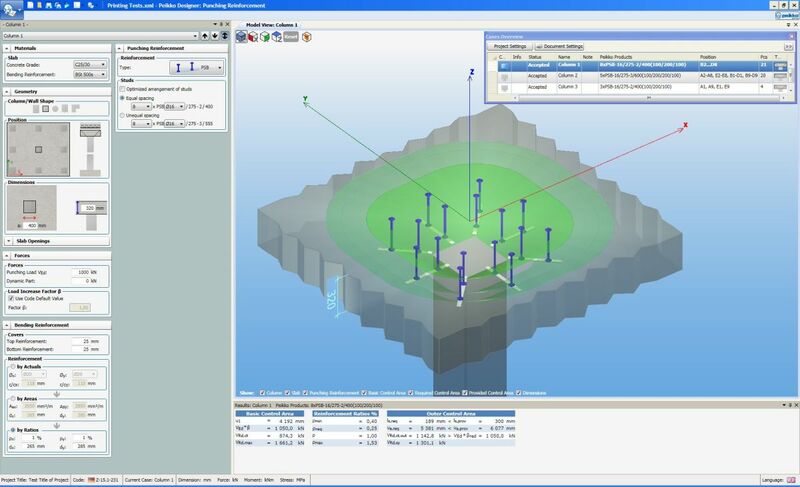 Tools include several 2D blocks, 3D custom components and connection plugins for different modeling applications. The 2D and 3D tools are easy to download and install. Peikko Toolbox supports Autodesk Revit, AutoCAD and AutoCAD LT versions 2016, 2017 and 2018. Using only one application, designers can add Revit families and AutoCAD blocks to designs. The application includes product information and has automatic update notifications. Peikko offers most of the products as 2D blocks in the same application with Revit families, Peikko Toolbox for Revit and AutoCAD. Peikko Toolbox supports Autodesk Revit, AutoCAD and AutoCAD LT versions 2016, 2017 and 2018. Using only one application, designers can add Revit families and AutoCAD blocks to designs. The application includes product information and has automatic update notifications. Peikko Toolbox supports Autodesk Revit, AutoCAD and AutoCAD LT versions 2016, 2017 and 2018. DeltabeamTool for AutoCAD is for full AutoCAD version 2010-2015 with Windows 7, Vista, and XP.